Title – The track title. Artist – The artist who recorded the track. Album – Which album the track belongs to (if applicable). Track – The track number from the album (if applicable). Year – The year that the track was published. Genre – The type of track, e.g. speech, rock, pop. Comment – Additional notes about the track. Copyright – Copyright notice by the copyright holder. Album Art – Thumbnail of the album art or artist. Changing MP3 info one by one and managing your personal music library can be a frustrating job, especially if you have a huge amount of unorganized music waiting to be sorted and labelled properly. Unsorted music library will make you a problem later when you listen to music on the go and you can’t navigate your songs without confusion. Fortunately, there is a great tool helps you to change ID3 tag easily. iMusic is a powerful, user friendly and easy to use music tool which helps you to download, record, transfer, manage, play and share music, no matter where you find it. In this specific article, we focus on how to manage and organize your ID3 tags and change MP3 properties which might be probably in shambles. iMusic supports batch tag editing, managing, editing metadata of your audio files and integrating with iTunes’s audio library. iMusic is the best album art changer too for your entire music collection. 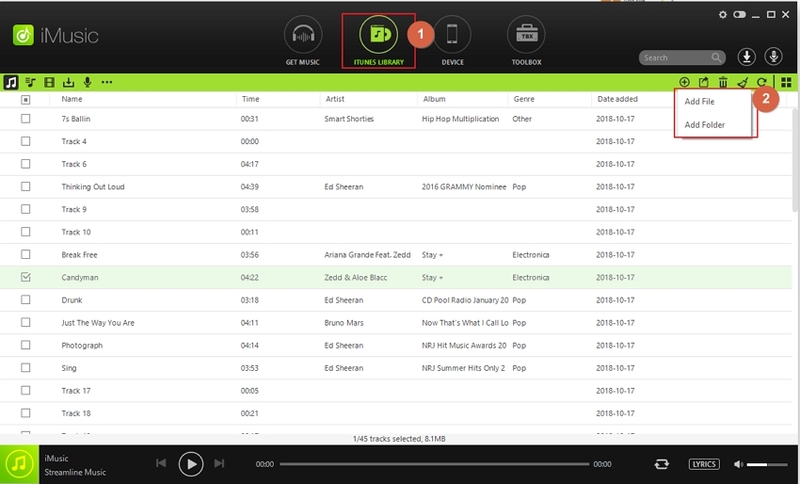 iMusic allows you to change or get MP3 tags automatically from internet with a few clicks. iMusic collects all information related to your music library and find missing tags and information related to the individual MP3 file. 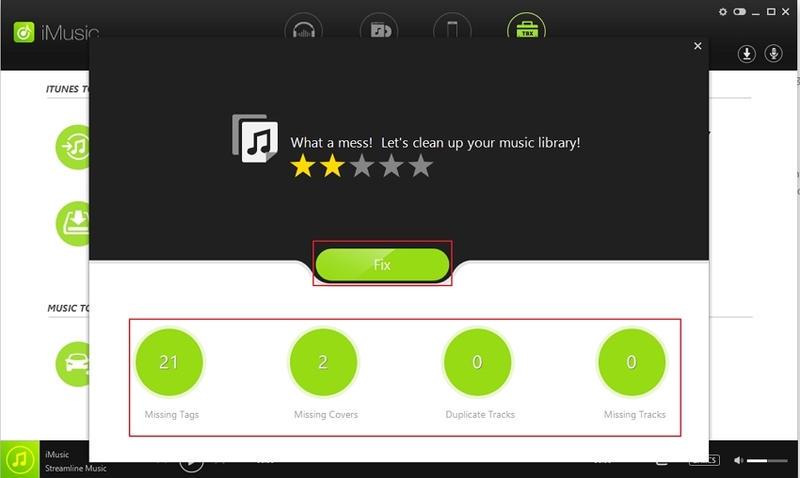 To complete this process, you must have an internet connection, so iMusic can connect to its database and collect missing information for your MP3 files. if you receive following errors, you need to check your internet connection. Step 1. 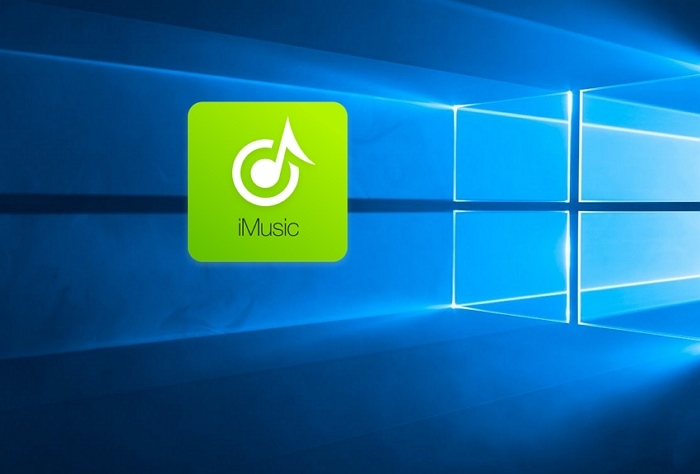 Download and install iMusic, then Launch iMusic on your PC. You can change MP3 tags in music library very easily with iMusic. 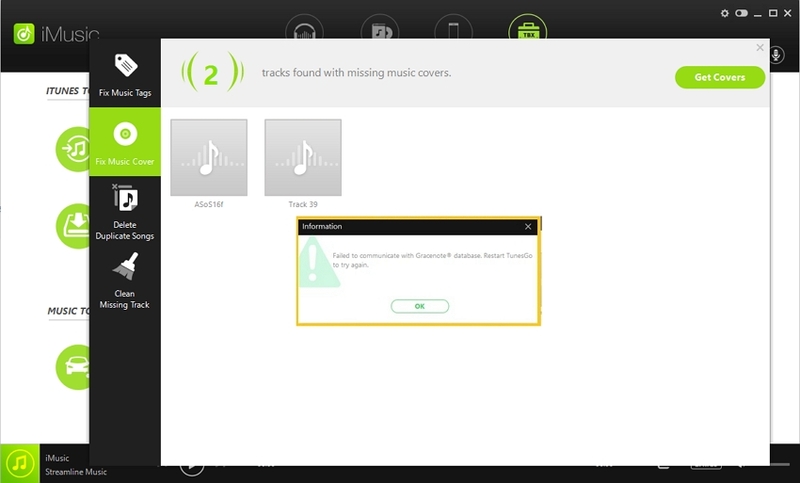 There are two ways you can fix missing information for your audio files. After launching iMusic application on your system, select "iTunes Library". If you have no music in there, you can add your MP3 songs by yourself. For this purpose, you have to click "Add item" or click "+" icon > "Add File" or "Add Folder" as mention below, then select your music files on your PC which you want to add in your music library. 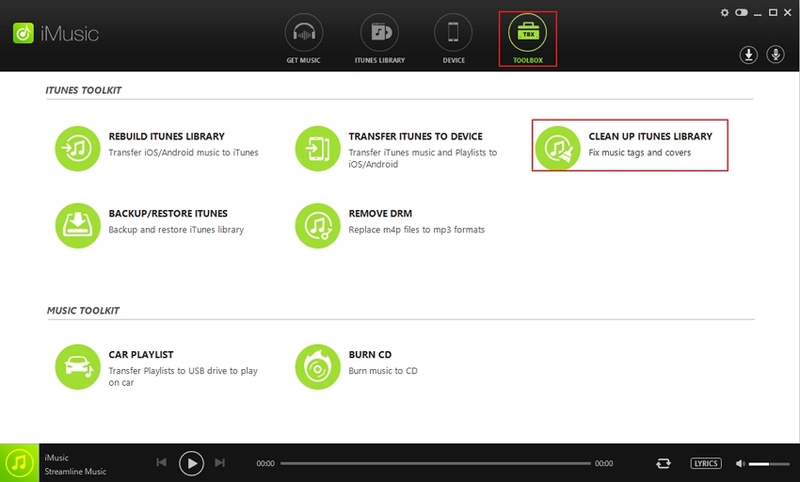 After adding your music files into your music library, select "Clean Up" icon as mentioned in the screenshot below. Then the window will be appeared and ask for a quick sacn on your music library to identify your music with missing tags and information. You can follow the 2nd Method to get the same window as below. If you don't need to arrange your music library, then just open "iMusic" application and select "TOOLBOX" from the main tab and select "CLEAN UP ITUNES LIBRARY" from the following tool box options. you will get directly same window as mention above in "Method 1". 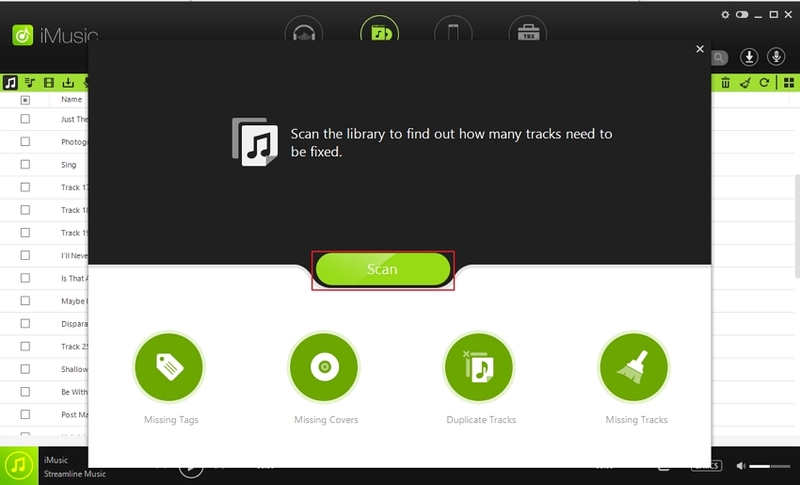 Select "Scan" button to find the tracks which need to change id3 tags automatically in your library. After scan your music library, iMusic will identify the errors in MP3 files like "Missing Tags", "Missing Covers", "Duplicate Tracks" and "Missing Tracks". Now you can select "Fix" button to resolve all problems in one go or you can select individual operation like "Missing Tags". From scan result, click "Missing Tags" option. The following window will appear with the details about all missing tags from your library. To fix all the missing id3 tags, click "FIX" button. 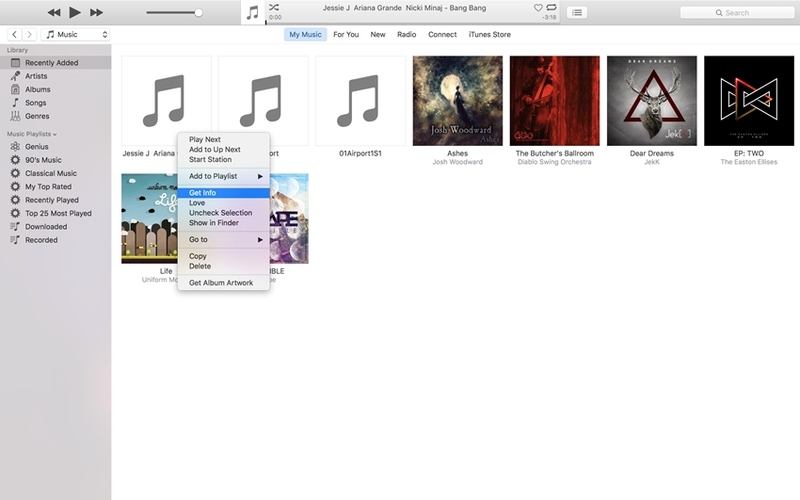 iMusic will automatically change ID3 tags. By using iMusic, you can fix missing covers, find and remove duplicate music in your music library to save media space on your devices. Furthermore it’s also clean missing tracks from the list. 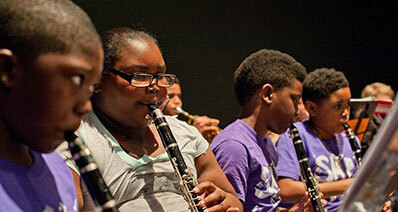 iMusic is a complete music handler with many others functions which you can’t resist. Changing MP3 tags manually is really slow process if you have big piles of files to change it, but sometime it’s helpful to change it manually like your own recorded audio files or any local recorded music which is hardly found on internet. 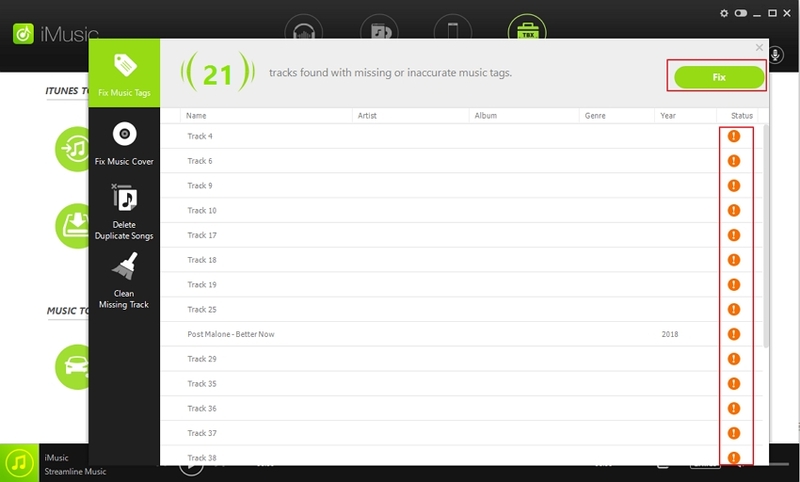 Again iMusic also allows you to tag your music manually including change MP3 picture. 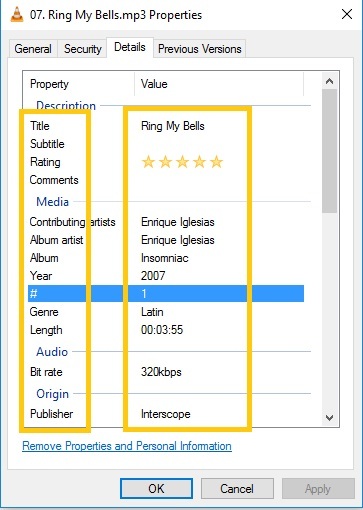 Following steps are 2 methods which shows you how to change MP3 tag manually. 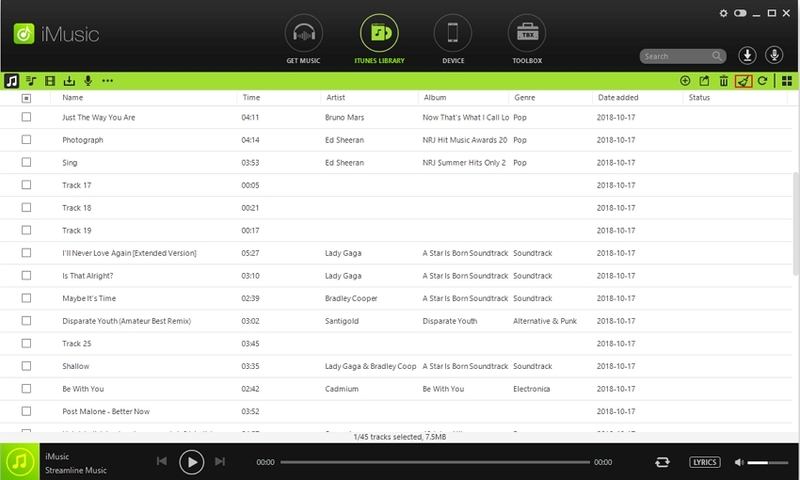 Launch iMusic software on your pc and select ITUNES LIBRARY from the main window. All of your music library appear in there. select your MP3 file which you want to change ID3 tags, then right click the MP3 and select "Edit music info" from options. On the right side of the panel, a detail box appears where you can add, change and delete information manually in your MP3 files include MP3 cover picture. 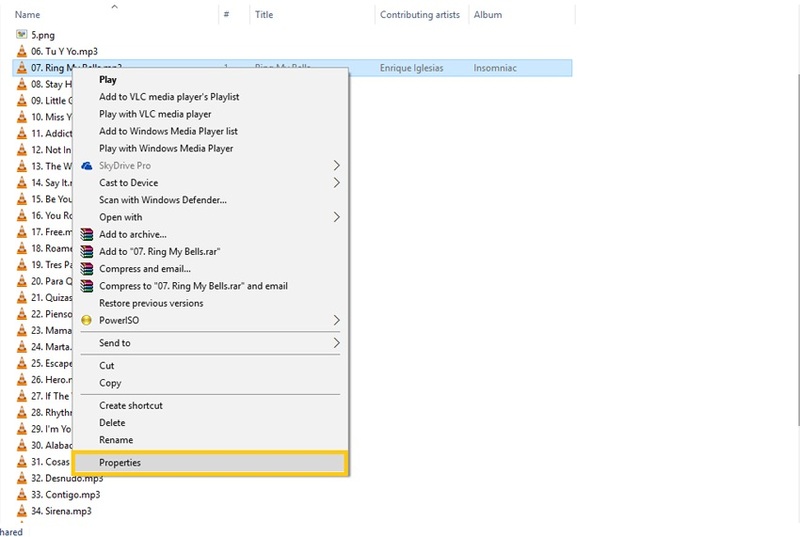 The second method is really easy even you don't need to install any third party software as Windows Media Player is always installed on the PC. 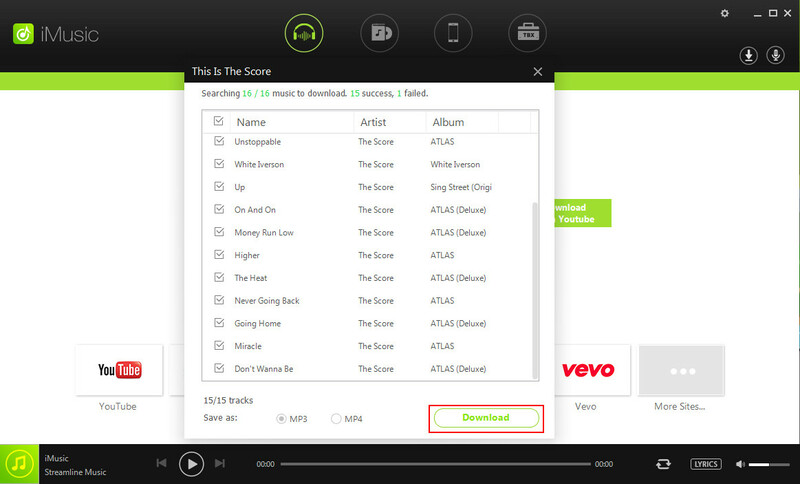 Following given steps show you how to change MP3 tags without any application. Open folder where you keep MP3 songs on your system. select MP3 song you want to add information/MP3 Tags. Right click on the MP3 file and select "Properties" from bottom list. After you click "Properties", the following window will appear. Select "Detail" tab from the Properties box. Here you can see two columns "Property" and "Value". you can change variable value in text filed. 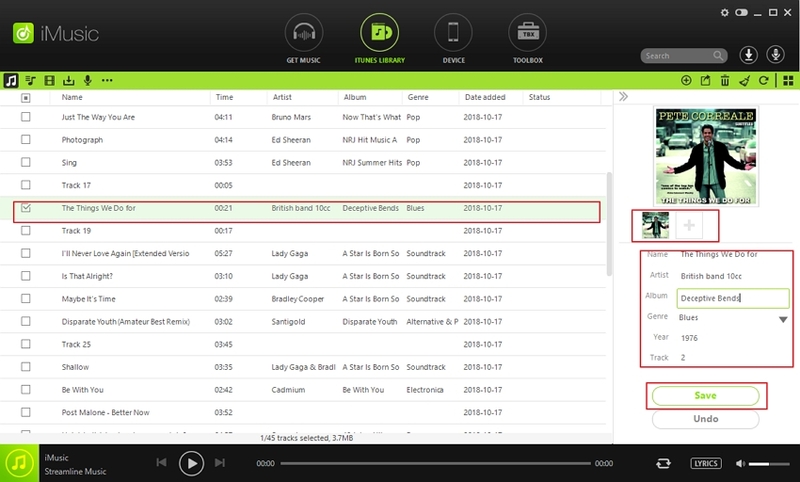 just click the related field to add text, and fill the related information about MP3 song. Here you can add, change and remove information related to MP3 songs like title, comments, artist, genre, year and many more. 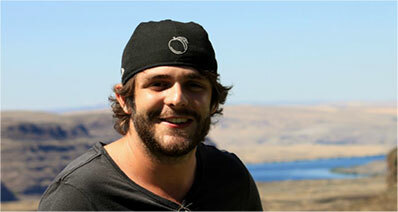 Now, after reading this article, you must learn more knowledge about ID3 tags and MP3 tagging. If you have good ways to change MP3 tags from your music library or any further enquiry, welcome to leave a comment as below.